On this page we will share the direct link to download Lenovo Vibe X2-AP official firmware, you can use this firmware to repair your lenovo vibe x2-ap. in addition, we will also share flash tools + usb drivers for lenovo vibe x2-ap and step by step how to flash lenovo vibe x2-ap using sp flashtool. Attention : Before flashing surely you must know that the flashing process will erase all existing data in the internal memory so it would be a good idea to backup the data that you think is important. We are not responsible for the failure of flashing or your android phone bricked, error and even bootloop, that your own risk. Step 1: Download & extract the firmware on your computer. Step 2: After extracting firmware zip file you will find the driver and installation instructions. Step 3: Install latest available USB Drivers (Just skip this Step if your Computer already have). Step 4: Follow the instruction to flash the firmware your smartphone. 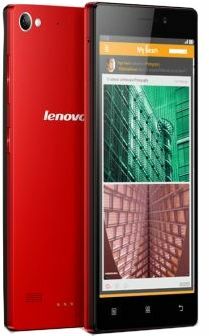 0 on: "Lenovo Vibe X2-AP Stock Firmware Rom (Flash File)"